Your business needs a fast and secure internet connection with the ability to configure value-added services and upgrade when needed. iTel delivers enterprise-grade ADSL connections that will fit your business needs for today while allowing you to easily upgrade as your organization grows.  ADSL is a dedicated business internet solution that delivers a range of scalable transfer speeds. Delivered on one of Canada’s most expansive networks, iTel ADSL is widely available across the country. Send large files, access critical applications and run online services. As a full-service provider, iTel offers value-added services to enhance your entire business network. Add Managed Voice and/or data replication to your ADSL connection and enjoy the benefits of a first-class communications network all delivered on one simple bill each month.